We knew Game of Thrones season 8 was going to be epic, but this is going above and beyond what was probably expected by many. David Nutter, director of half of the final Game of Thrones episodes and also a certain Red Wedding (*sob*) has revealed a show-first: every single episode in Game of Thrones season 8 will be over 60 minutes long. While that’s not definitely set in stone, this is as close as we’ll get to having runtimes confirmed before the show returns in April. After all, Nutter is helming the first, second, and fourth episodes of Game of Thrones season 8, so he should at least have a firm grip on those runtimes, at the very least. Plus, it’d be a given that the penultimate episode and series finale would probably be well north of an hour anyway. That’s five of the six accounted for. There’s even a gigantic battle three times the size of Battle of the Bastards to fit in somewhere, too. Phew. No wonder the showrunners wanted to release the final season as a Thrones movie trilogy. This can only be good news for fans of the show. A bumper-length episode every week would more than make up for the clipped six-episode final season of Thrones. Even Game of Thrones season 7 only had two of its seven episodes go above the magic hour mark, so you’re probably looking at more minutes in total than that season which, honestly, felt a little rushed in places. Remember Jon Snow sailing about Westeros in minutes? Yeah, that. 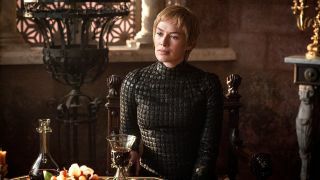 So, make sure you invest in a comfy chair – Game of Thrones season 8 is going to take up as much of your time as it possibly can come April.